11.05.13 Roy has Shingles & Look out Kentucky – the Chauvins have arrived! Roy has shingles and he’s miserable. The shingles shot Roy got last Wednesday either gave him shingles or it’s a coincidence that he got shingles the day after he had the vaccine. He started running fever and had a bad headache yesterday and today and has been having pain in his back and legs since Monday. We went to It’s All About You Urgent Care in Bowling Green here in Kentucky today and a really nice lady Kyra Sharp took care of him. All of his feeling horrible and being in pain the last couple of days is from him the shingles and bronchitis. We picked up all his medicine from Walgreens and stopped at Sams to pick up some special food treats to make him feel better and he’s back home napping on the sofa right now. Hopefully the bronchitis will get out of him soon so he can deal with shingles without feeling lousy from the bronchitis. Please keep him in your prayers as he heals from this. Some of the places we were planning to see may get cut off the list you’ll see down below. We’ll take it a day at a time from here on! Ya’ll know how we like to take pictures of everything we do so we took a picture at the Urgent Care center with the ladies that took care of Roy. 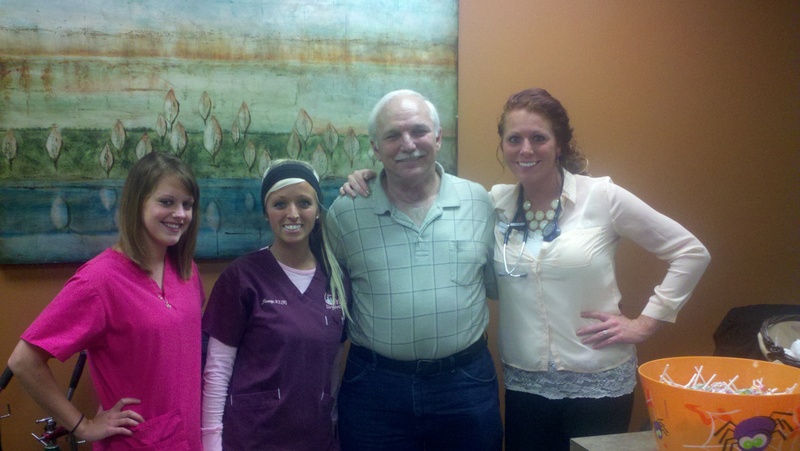 That’s the first smile I’ve seen on his face in a few days but he’s got pretty ladies around him so I understand! I wrote the post below before today but I felt that Roy’s medical concerns should go at the beginning of the post so don’t get confused because of the order. 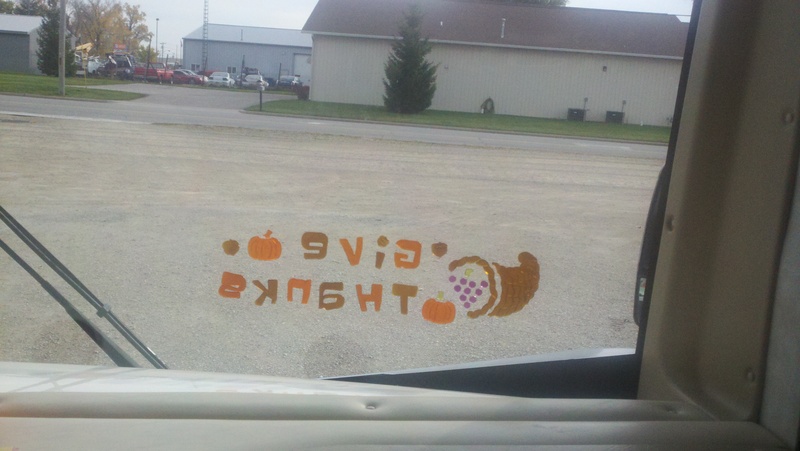 Now that Thanksgiving is the upcoming holiday we put our Give Thanks sign in the front of the window. What you see in the picture is from the inside so it’s backwards. It’s a challenge to decorate an RV and I really like these gel window signs! We spent the night last night at an interstate rest stop with several 18 wheel trucks! Roy’s back and knees were hurting him so badly that we had to cut yesterday’ journey short. I woke up Tuesday morning around 8 am to the sound of Dora going 60 miles per hour down the interstate! That is such a strange feeling! 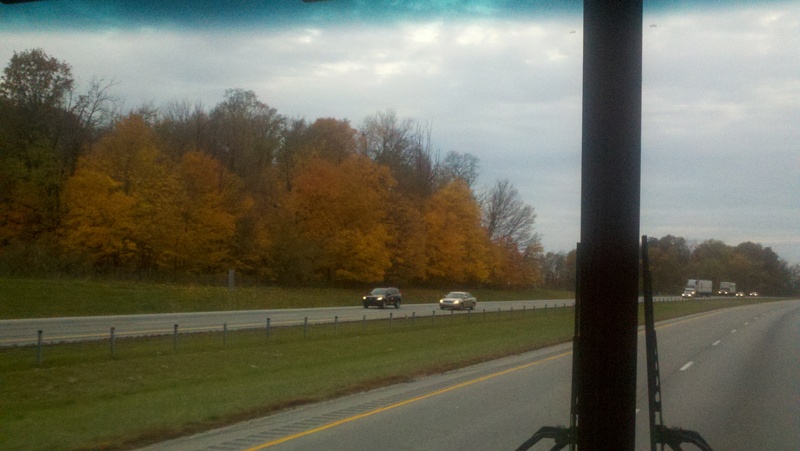 The trees along the roads are brilliantly yellow and orange now. It’s such a blessing to get to see this beautiful scenery as we travel. We arrived about 11:30 am at Diamond Cave Resort in Park City, KY where we’ll stay for a week or so. It’s nice to know we’ll be somewhere that has grass and trees and we can set up our little outdoor space for a while. We’ve set up everything inside and out and I’m going outside to read for a while which is something I’ve missed these last three weeks. That’s a big list and we hope to do most of that if not all. 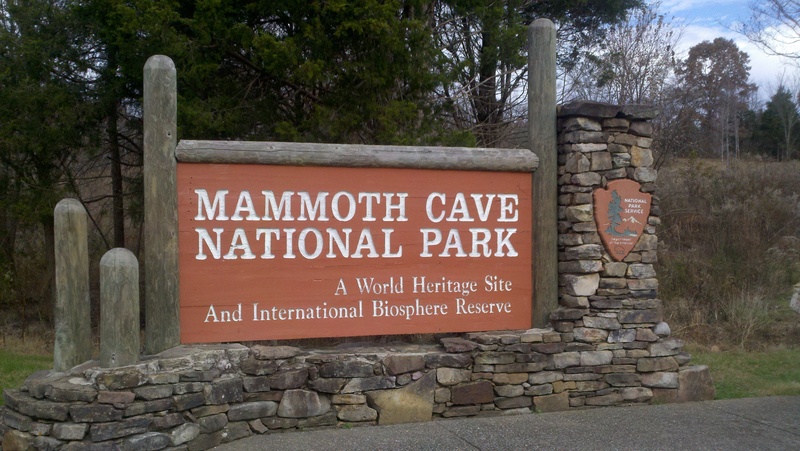 We’re not too far from Bowling Green and right outside of Mammoth Cave Park and the weather is cool but not cold. As we move south the temperatures are getting warmer as you would expect . We’re 10 degrees warmer than when we left Decatur, Indiana. 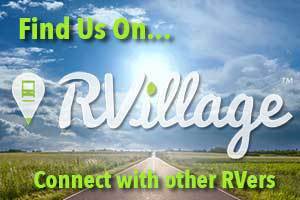 It’s helped us a lot to get recommendations from ya’ll about things to see so if there is anything specific in the I-65 area between Louisville, KY and Bowling Green, KY that you think we’d like to see please let us know! Ya’ll come back now ya’ hear! < 11.03.13 Bye Bye Decatur Indiana! Onward to Kentucky! !